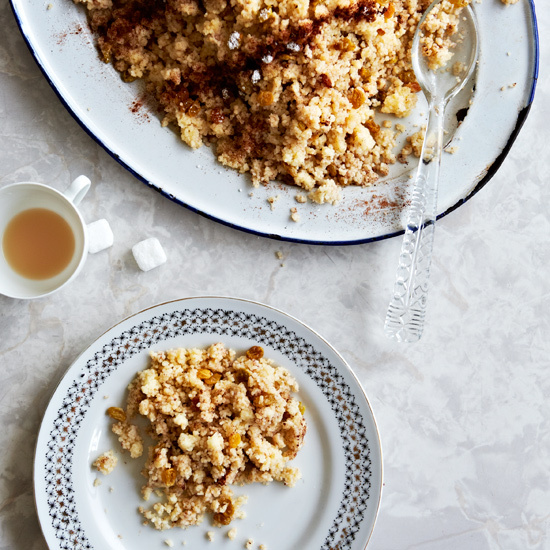 These amazing couscous recipes include a crunchy couscous galette, a North African stew and more. 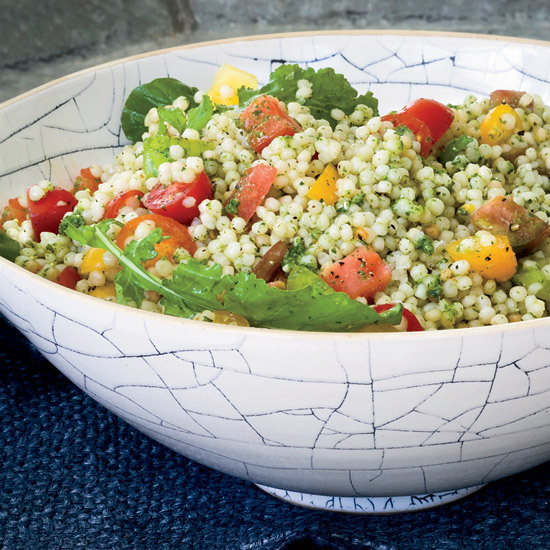 Sweet raisins, crunchy nuts, spicy arugula—this couscous salad boasts an interesting array of flavors and textures. 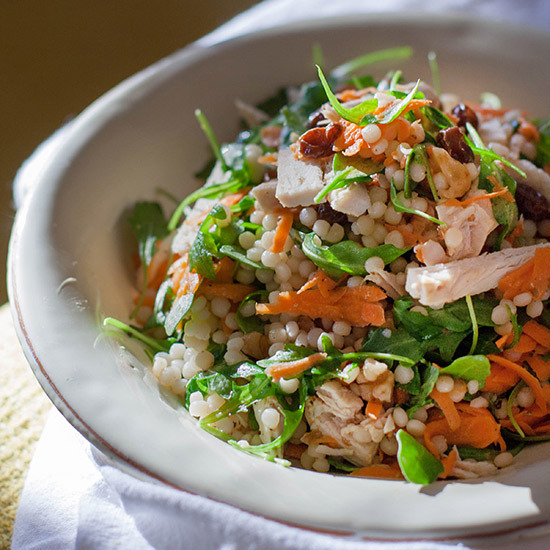 We include strips of roasted or smoked turkey to make it a meal, but you can leave them out for a meatless salad. 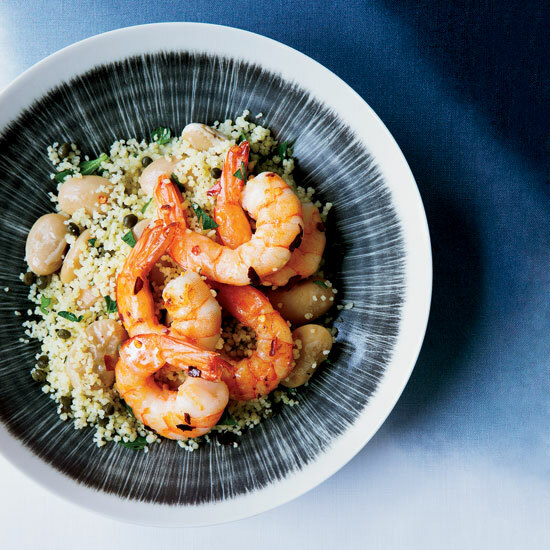 A tangy, caper-studded couscous with butter beans and lemon juice makes a delicious base for quickly sautéed spicy shrimp. 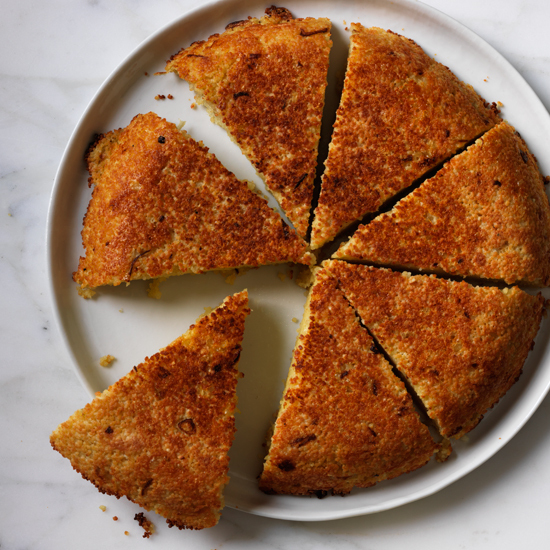 This big, cheesy couscous cake is a wonderful way to use up leftovers, but it's so good and fast you’ll want to make it with fresh couscous, too. 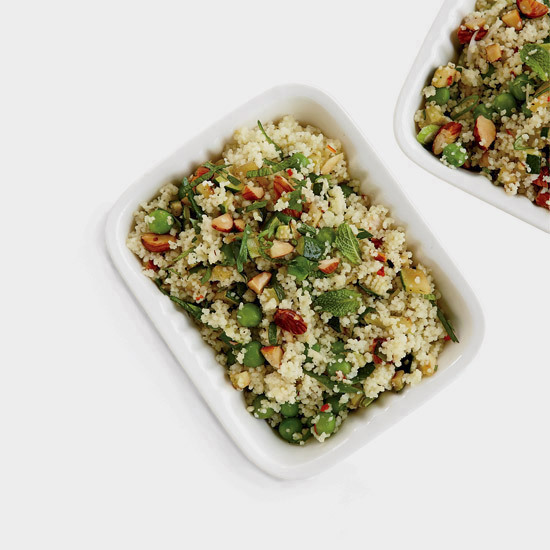 Grace Parisi sometimes adds whatever roasted vegetables she has on hand, such as sweet potatoes, carrots or asparagus; or she might top the galette with fried eggs for breakfast. 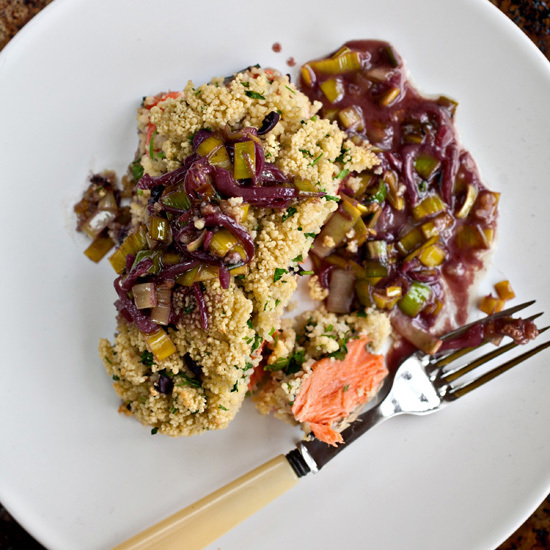 Chef Mark Sullivan marinates his chicken in 13 different ingredients over the course of two days. 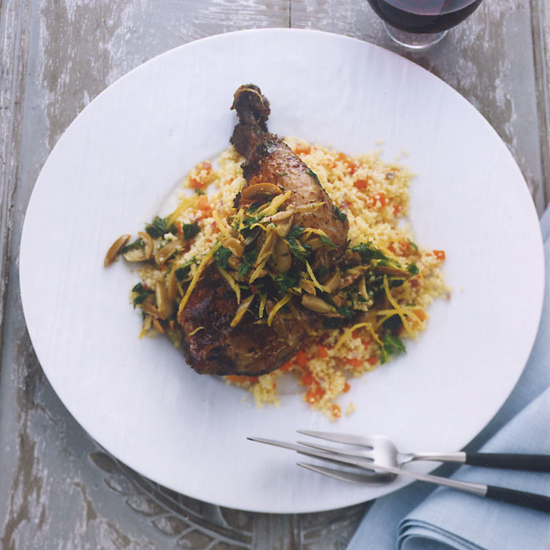 Home cooks can make a simple, delicious rub for chicken with fewer ingredients, including mint and ginger. 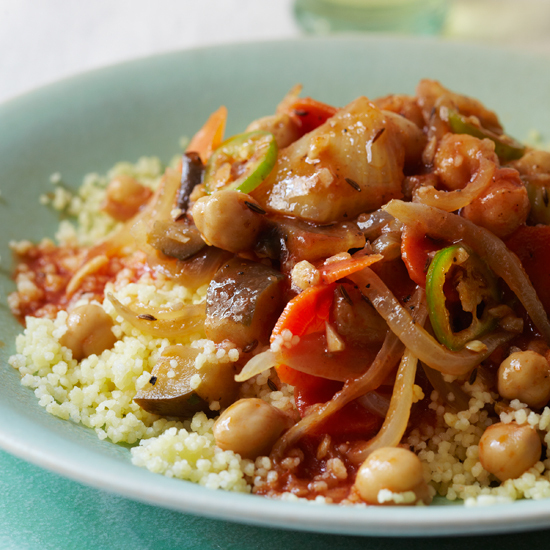 Cat Cora's Moroccan-spiced stew is a great showcase for farmed catfish or tilapia. 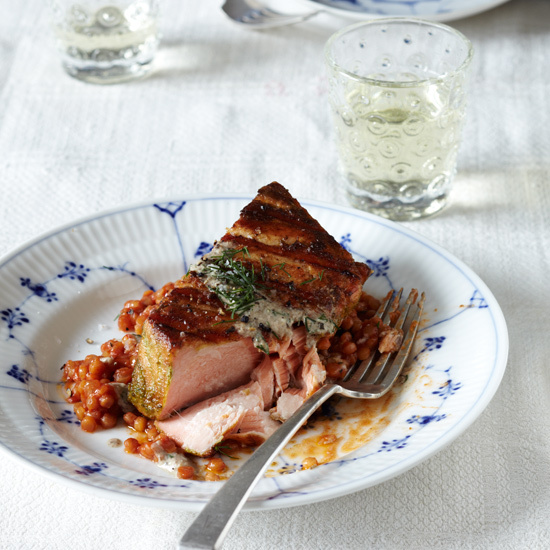 Chef Donald Link cooks chicken in duck fat until it's meltingly tender. 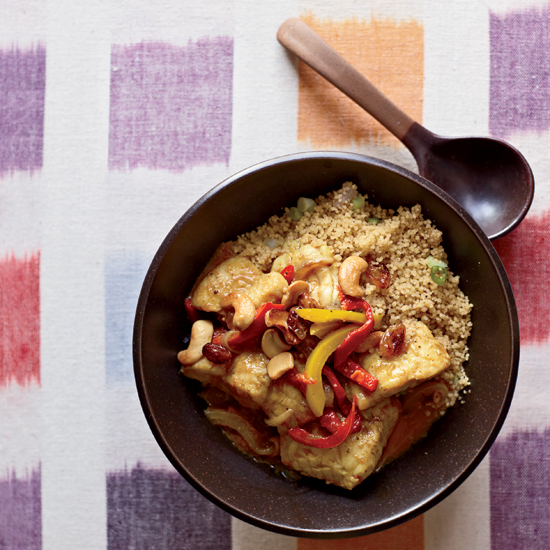 At home, skip the duck fat and opt for olive oil instead. 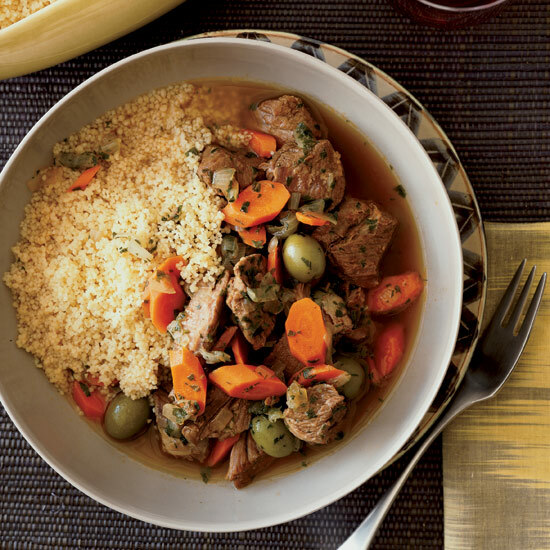 This classic couscous is loaded with slow-cooked lamb and poached vegetables, and spiced with generous amounts of cumin. 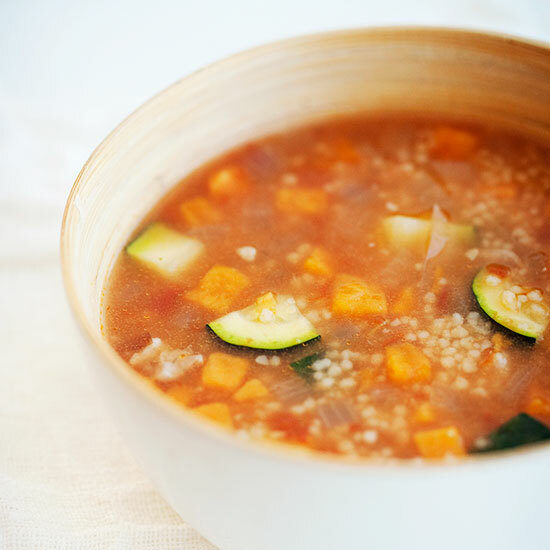 Carrots, fennel, zucchini, and chickpeas in a broth spicy with jalapeños, caraway, and coriander make for a full-flavored vegetarian couscous. 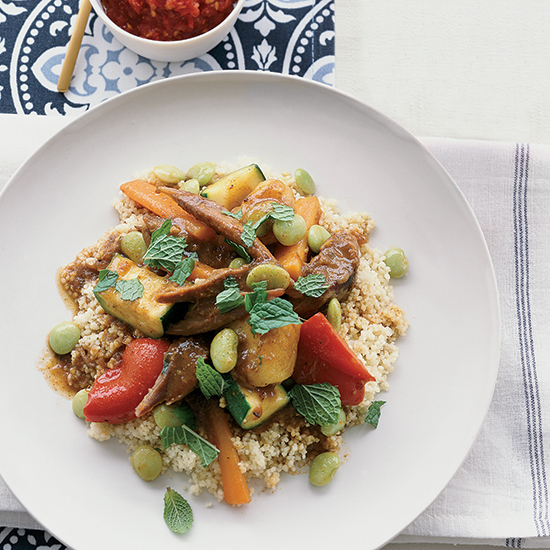 If you want to introduce meat, sautéed merguez—the hot North African sausages—are a great way to go. 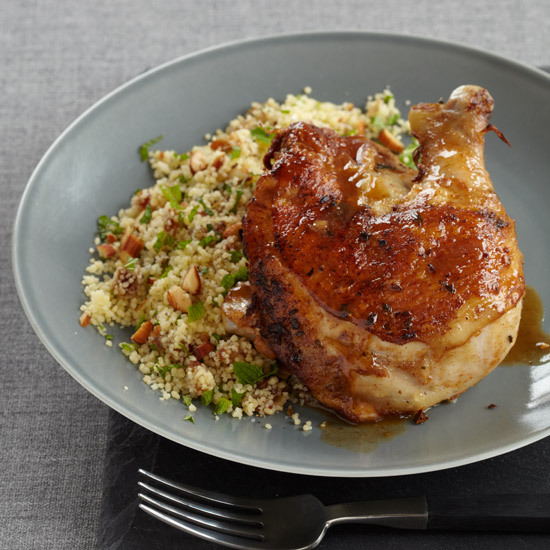 Moroccan-inspired couscous, chunky with apricots and almonds and flavored with cinnamon and honey, makes a quick and unexpected stuffing for roasted hens. 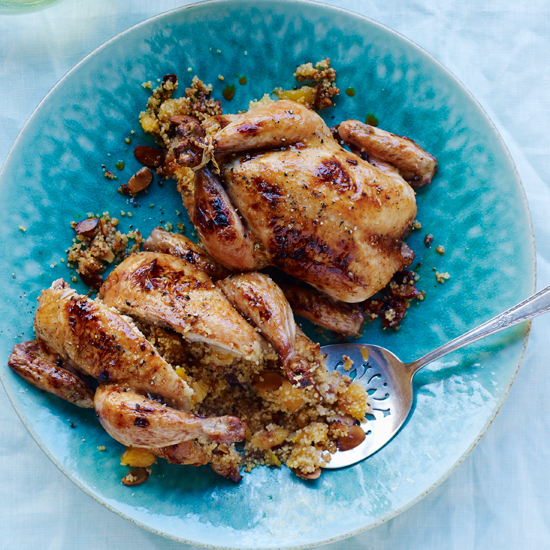 The honey drizzled on the birds during the last ten minutes of cooking gives them a glistening, crisp brown skin. 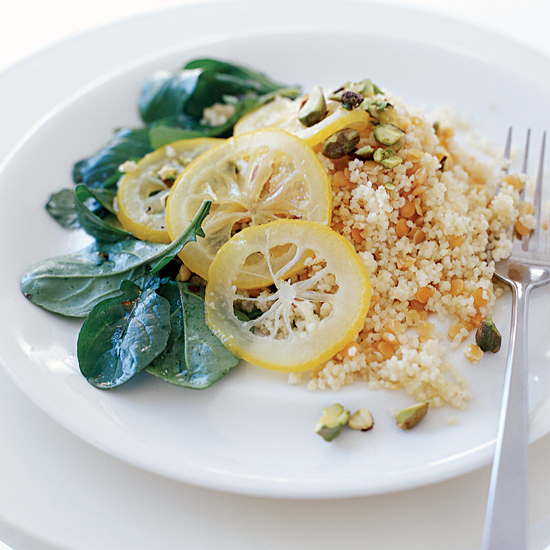 Arugula pesto is peppery and bright. The trick is to blanch the arugula and squeeze it dry, so when you blend it with the pine nuts, garlic, olive oil and cheese, the resulting pesto isn't too wet.